Fleet members of the City of Durham. Photo contributed by City of Durham. This week, Fuel What Matters features 100 Best Fleets of the Americas winner City of Durham. City of Durham’s fleet, which consists of about 1,520 vehicles and equipment, is a typical municipal fleet with cars and trucks (both light/heavy duty), refuse collection vehicles, police and fire vehicles, and construction equipment, according to Fleet Management Director Joseph Clark. 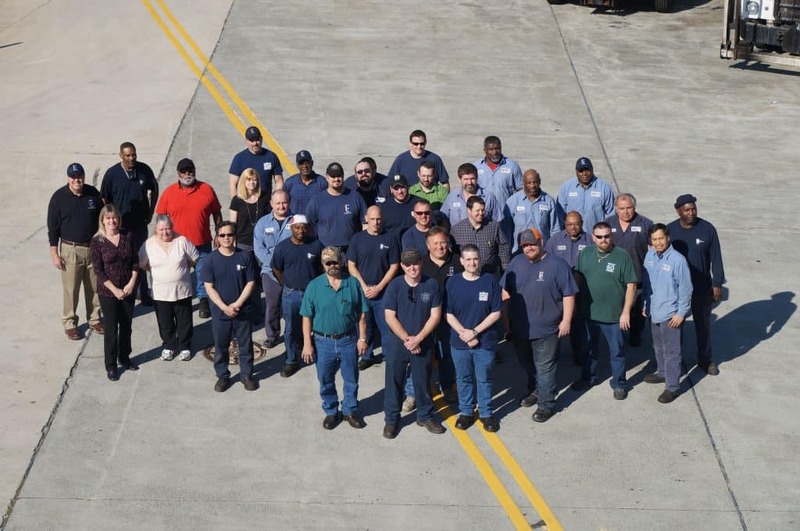 Durham has received the 100 Best Fleets Award every year since 2010, has been named as a Top 50 Fleet by the Leading Fleets Award Program from 2014 to 2018, and has multiple times been recognized for the Green Fleet Awards. Clark said he thinks the City of Durham fleet’s careful cost analyzation to determine what works well for the organization and its stakeholders is what the fleet does best. Durham uses a Fleet Information Management System that captures accurate relative data; and dealer and OEM level software and technician training. The fleet also benchmarks other leading agencies in their successes and failures to minimize missteps and maximize returns; and uses optimized tuning equipment, advanced telematics and idle reduction technology to increase fleet efficiency. “Our recognition is tied to our dedication to managing the fleet utilizing some of the best and latest tools available,” Clark said. Durham also has plan in place with a goal of reducing annual maintenance cost and average cost per mile, increasing average fuel economy, and reducing fossil fuel consumption, Clark said. Through the years, underutilized vehicles have been removed, allowing the fleet to decrease in size. Clark said this has been done by outsourcing police upfit builds, remarketing used vehicles within the City, and adopting a sustainability plan that includes fuel reduction goals, right-sizing and right-typing vehicles, utilizing smaller engines in police vehicles, eliminating 4-wheel drive when not needed, and more. To keep improving on the City of Durham’s fleet, Clark said they hope to further invest in hybrid vehicles, along with continued investment in anti-idle technology. In addition to reducing fossil fuel use and right-sizing vehicles, Durham’s fleet also implements programs for its staff. The fleet holds monthly staff meetings where discussion is focused on topics that encompass the whole organization, Clark said. The City has a program called Idea Starter that encourages new ideas and has a pool of funds to contribute to selected ideas. Throughout the years, the fleet has also faced challenges. There was a period of time when economic factors forced underfunding of fleet replacement — a deficit that created a backlog of vehicles, Clark said. The fleet continues to try to remedy the backlog while investing new ideas when opportunities exist. “Buy-in from the top is paramount — if upper management does not support the idea, it will be difficult to be successful,” Clark said.